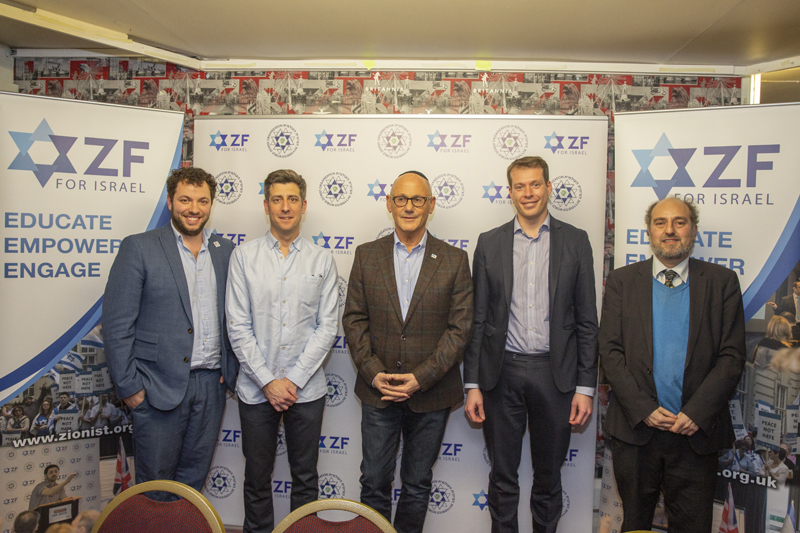 This week, the ZF hosted a panel event on the Israeli elections which included representatives from the political right and left as well as expert analysis from the UK and Israel. 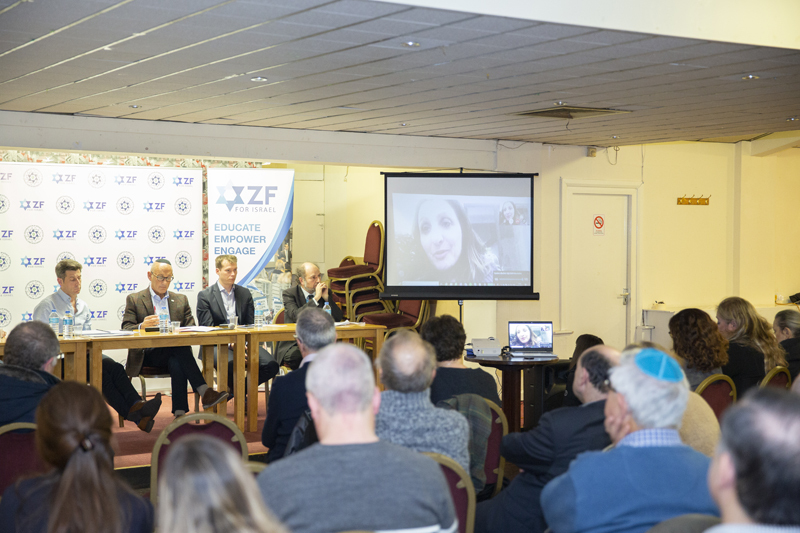 The Panel included Meretz UK’s acting Director Lawrence Joffe, Likud-Herut UK’s chairman Zalmi Unsdorfer, Executive Director of Stand With Us UK (SWU) Raphael Wein, James Sorene CEO of BICOM and joining the crowd live from Jerusalem was Fleur Hassan-Nahoum, Deputy Mayor of the city. With more than 60 people at the event in Hendon, the audience heard political opinion, manifesto points and passionate argument from the panelists, as well as learning about how the elections work. Raphael Wein of SWU had spent 4 years as a Knesset tour guide and gave the audience a brilliant overview of how the system works, the threshold as well as the history behind Israel’s Knesset. James Sorene wowed the audience with projections, potential coalitions and anecdotes of the race to become Israel’s next PM. Fleur was able to talk of her recent experience standing for election, spoke passionately regarding the Arab minorities and their potential influence both locally and nationally. Zalmi Unsdorfer and Lawrence Joffe went head to head with their differing political views, both receiving applause from the audience. With lively and passionate questions from the audience, the event was a resounding success and was the first of many that will look at the way the elections are heading and working as we draw closer to April 9th 2019.